What happens when our government can no longer operate as it was designed to in the Constitution due to the steady bickering of political parties? Has the Republican agenda of corporate interest irreparably harmed the way the 3 branches of government function? 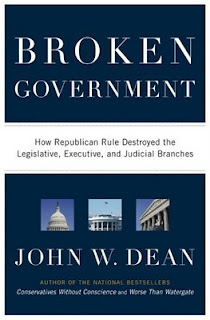 John W. Dean explores these issues and more in his book "Broken Government." Please join us in our discussion of "Broken Government."